EN-EL2 : 3.7v 1000mAh rechargeable Li-ION battery for Nikon CoolPix 2500, 3500, Coolpix SQ cameras. 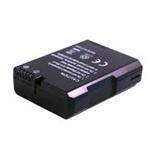 EN-EL2 : 3.7 volt 1000mAh rechargeable Lithium Ion battery for Nikon digital cameras. Fits Coolpix 2500, 3500, SQ models, etc. Replaces EN-EL2, NK-ENEL2, DNK002, 9904. EN-EL8: 3.7v 1200mAh rechargeable Li-ION battery for NIKON Coolpix P1, P2, S1, S2, S3, S5, S6, S7c, S7c Wi-Fi, S8, S9; KODAK EasyShare LS755, LS755 Zoom. EN-EL20 : 7.2v 850mAh rechargeable Li-ION battery for NIKON digital cameras. Fits NIKON AW1, 1J1, 1S1, 1J2, 1J3, Coolpix A, 1T1, etc. EN-EL19 : 3.7v 1200mAh Li-ION battery for NIKON digital cameras. EN-EL19 : 3.7v 1200mAh Li-ION battery for NIKON digital cameras. Replaces EN-EL19, ENEL19. EN-EL12: 3.7 volt 1500mAh rechargeable Li-ION battery for Nikon digital cameras such as Nikon Coolpix S70, S610, S610C, S620, S630, S640, S710, S1000, S1000pj, S1100pj, S6000, S8000, S8100. Replaces: Nikon EN-EL12. EN-EL23 : 3.8 volt 2600mAh rechargeable Li-ION battery for Nikon Coolpix P600, S810C, P610, P610s, P900, P900s etc. EN-EL14: 7.4 volt 1500mAh rechargeable Li-ION battery for NIKON digital cameras. Fits CoolPix P7000, P7100, P7700, D2100, D2200, D3100, D3200, D5100, etc. Replaces part #s EN-EL14. Re-charge with stock charger, our DVU-NIK1, our USC-003. 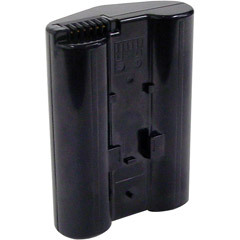 EN-EL9 : 7.4 volt 1800mAh rechargeable Li-ION battery for Nikon digital cameras such as D60, D40, D40X, D3000, D5000. 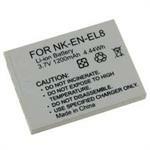 EN-EL15 : 7.0 volt 2550mAh rechargeable Li-ION battery for NIKON digital cameras. Replaces EN-EL15, ENEL15. Fits cameras such as Nikon D800E, D7000, D7100, 1V1, 1 V1, D600, D610, D800, etc. EN-EL3E : 7.4 volt 2000mAh LONG LIFE rechargeable Li-ION battery for Nikon digital cameras. Fits the D50, D70, D80, D90, D100 D200, D300, D300S, D700, D3005, etc. Replaces original Nikon # EN-EL3e. 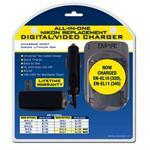 EN-EL15: NIKON brand 7.0volt 1900mAh rechargeable Li-ION battery for digital cameras. Replaces EN-EL15, ENEL15. Fits cameras such as Nikon D800E, D7000, D7100, 1V1, 1 V1, D600, D610, D800, etc. 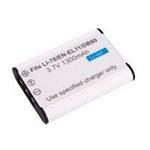 EN-EL1 : 7.4 volt Li-ION battery for Nikon CoolPix 775, 880, 885, E880, 995, 4300, 4500, 5000, 5700 etc. The EN-EL1 is a 7.4 volt 750mAh rechargeable Lithium Ion Battery pack for Digital cameras. It fits Nikon CoolPix camera model #s 775, 880, E880, 885, 995, 4300, 4500, 5000, 5700, etc. 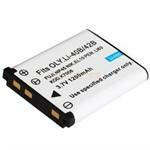 EN-EL5 : 3.7 volt 1100mAh Lithium ION battery for NIKON, HP, and SAMSUNG cameras. See x-ref list below. The EN-EL3 is a 7.4 volt 1500mAh rechargeable Lithium Ion battery pack for Nikon digital cameras. Replaces original battery # EN-EL3, DNK003, BP-100CL, EN-EL3a. Fits Nikon D50, D70, D70S, D100, D100 SLR. 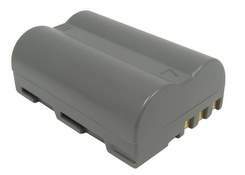 The EN-4 7.2 volt 2100mAh Nickel Metal Hydride Battery for Nikon Professional Digital Cameras. It fits models D1, D1H, & D1X. The EN-EL4 is an 11.1v 2200mAh Li-ION battery pack for Nikon digital cameras such as the D2H, D2X, D2HS, F6, CoolPix D2X, etc.